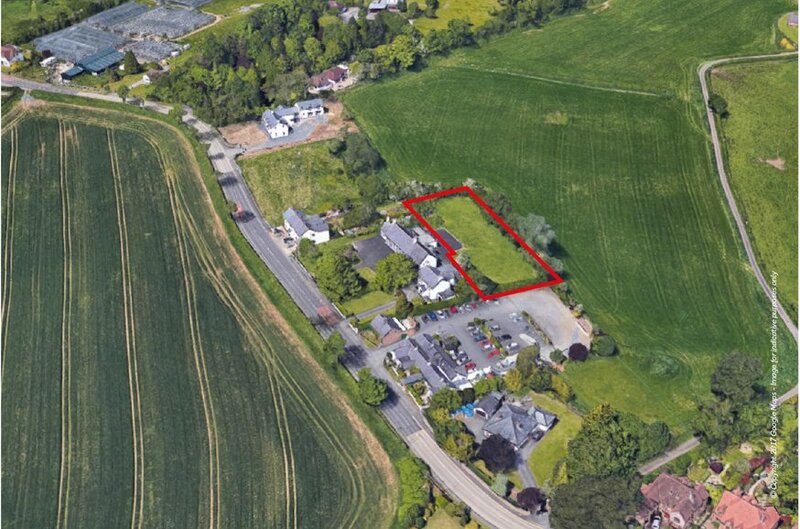 Potential for residential development, subject to planning permission and all necessary consents. Excellent location within a picturesque village, close to Belfast and Lisburn. CLOSING BEST AND FINAL BIDS TO BE RECEIVED BY THURSDAY 4TH APRIL AT 12 NOON. Please note the vendor reserves the right not to accept the highest, or any offer, received. Drumbeg is a small village located approximately 4 miles from Lisburn City Centre and 6.5 miles from Belfast City Centre. The village is situated within the Lagan Valley Regional Park and the Lagan Valley Area of Outstanding Natural Beauty. Due to the close proximity to both Belfast, Lisburn and the M1 motorway, the village is a popular commuter location. 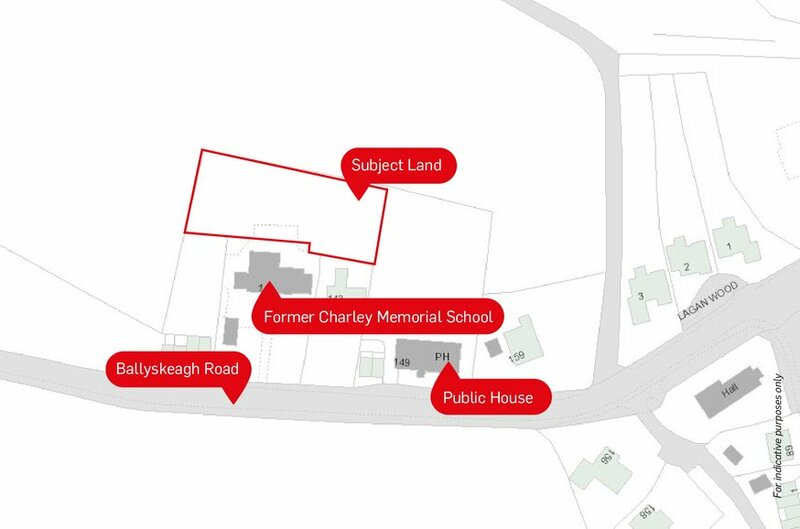 The land is located on the Ballyskeagh Road, to the rear of Charley memorial school. 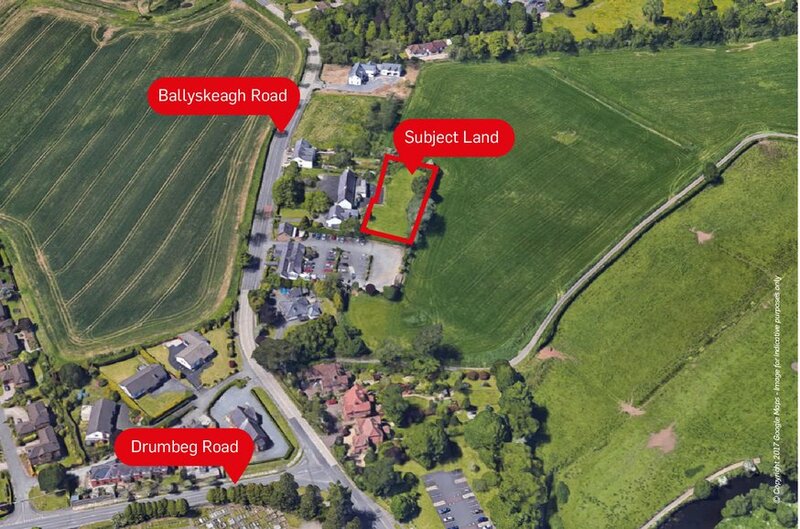 The majority of the land use around Drumbeg is agricultural land, with a mixture of residential developments and several detached dwellings. Commercial properties in the village include a public house, the former school (now closed), a church and a garden centre/ nursery. We understand the subject land is currently landlocked by the surrounding occupiers and the only access is through third party land. The subject land comprises a mainly rectangular shaped plot of land of circa 0.48 acres. The majority of the land is laid in grass, with a small part covered in tarmacadam. The land is bounded by mesh fencing and hedging on three sides, with the former schoolhouse situated on the southern side. We understand that there are no live planning consents on the property at present. 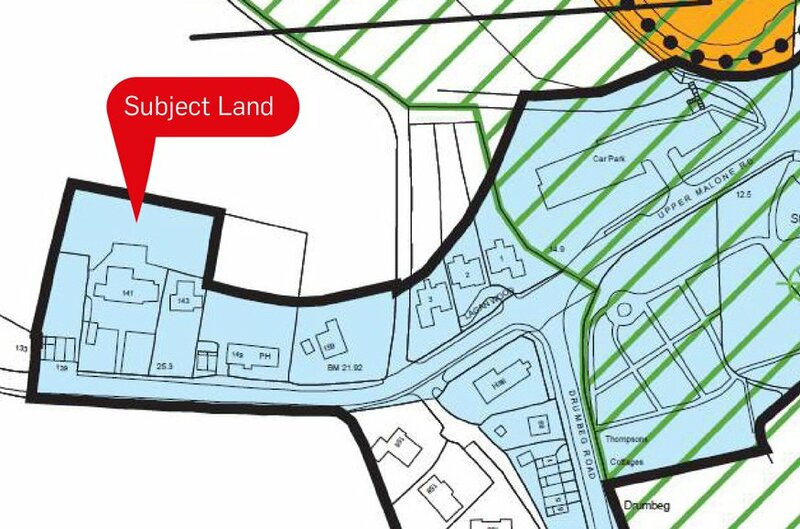 The lands fall within the Belfast Metropolitan Area Plan 2015, and we understand that the land is located within the Drumbeg Development Limit. The land is outside the ‘Local Landscape Policy Area’, however falls within the ‘Area of Village Character’. All interested parties are advised to make their own enquiries into the planning potential of the site. We understand that the title is freehold.